Buy Bitcoin, Ripple or Ethereum - That's how it works! In 2018, interest in Bitcoin, Ethereum and other cryptocurrencies continues to rise. But most people don’t know how to acquire Bitcoin, Ethereum, Ripple or other currencies. If you've decided to buy cryptocurrencies, here's how to buy the most common cryptocurrencies BITCOIN, ETHEREUM, RIPPLE, and more (to the full list). A wallet is a digital purse used to store your currency purchases. There are online wallets ("hot wallets") as offered by BITPANDA, where you can store your units online and have access to them at any time. However, in the event of a hack or failure of the online wallet, you may lose all the units stored on it.An offline wallet ("cold wallet") stores this data offline on its own hardware such as the Ledger Nano S or the Trezor Hardware Wallet. How to transfer your assets to a hardware wallet you can see on the page How to store Bitcoin on the LEDGER NANO S.
Which cryptocurrency do you want to buy? Where can you buy Bitcoin, Ripple, Ethereum and other cryptocurrencies? Buying Coins - What cryptocurrencies can you buy on Bitpanda? Safely store Bitcoin on the Ledger Nano S.
There are many ways to acquire virtual currencies. Bitpanda, an reliable provider from Austria (Europe), has become one of Europe’s most popular service for purchasing cryptocurrencies such as Bitcoin, Ethereum, Ripple & Litecoin. The popularity of BITPANDA results from the fact that the purchase process is very simple and intuitive. In addition, there are several proven and well-known payment options, ranging from a SEPA credit transfer over payment by credit card to the purchase of deposits (Bitpanda-to-go) at the Austrian Post Office. Since BITPANDA makes it easy to start acquiring and trading cryptocurrencies, we will show you how to buy crytocurrencies using this service. Creating a Bitpanda account is free and only takes a few minutes. Since mid-2018, Bitpanda has completely redesigned its user interface - and the result is even better, simpler, and more intuitive than the original version of Europe's most popular cryptoservice. The most important features are briefly introduced in this video. 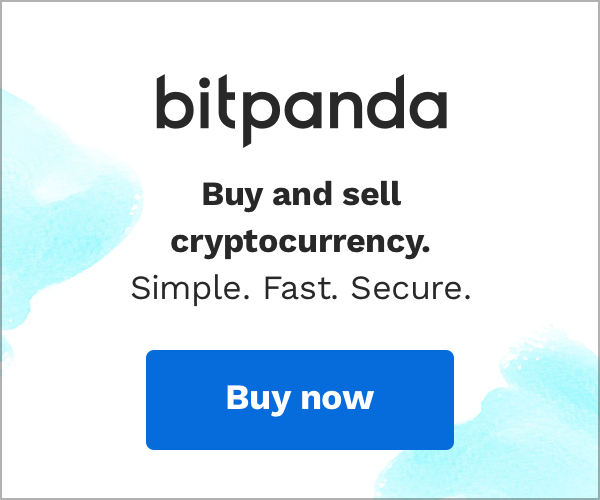 Bitpanda has become one of the most popular platforms for buying and selling cryptocurrencies. The new user interface 2.0 makes the purchase of Bitcoin, Ripple or Ethereum very intuitive and simple and always provides a clear overview of your portfolio and the current price of the respective cryptocurrencies. The integration of numerous online wallets for the 17 currently available coins (as of 14.10.2018) has been very successful and the secure transfer to a hardware wallet such as the Ledger Nano S is quick and easy. The ongoing evolution of the platform, broad support for more and more cryptocurrencies, and low fees make Bitpanda one of the best, if not the best, cryptocurrency service available on the market. To make the buying process as easy as possible, here is a step-by-step guide to buy bitcoins on BITPANDA (www.bitpanda.com). To buy Ethereum, Ripple, Litecoin or any other cryptocurrency, you need to take the exact same steps. In the first step, it is necessary to create a user account. Click on SIGN UP (top right) to start this process. For the registration you need an email address. After entering your data you will receive an e-mail with a link to the verification. After clicking this, the new account will be confirmed and created. You can now log in to Bitpanda. After logging in, you will see the dashboard. The dashboard gives you an overview of your user account, your online cryptocurrency wallets, and the current status of your cryptocurrency portfolio. In order to buy and sell cryptocurrencies you need to verify yourself. Just click on the Panda icon in the upper right corner and open the main menu. Then click on VERIFY NOW. Here you enter your data according to the requested information and click SAVE. To best way to protect your Bitpanda account and its cryptocurrencies against unauthorized access, is to enable 2-factor authentication. You start the setup by clicking SECURITY in the left menu. You will need the Google Authenticator app to scan the displayed QR code. Each time you log in, the six-digit 2FA code is required. By setting up 2-factor-authentification setup of your accoint is completed and you can deposit money into your Bitpanda EUR (FIAT) account. Before you can buy a cryptocurrency, it is necessary to charge the EUR account (Fiat Wallet) of the Bitpanda account. To deposit a credit, click on DEPOSIT in the top menu bar. In the following step you will be asked to select the currency for the deposit. Now select the EUR Wallet or another currency of your choice. Then you have to choose your payment method. In addition to Sofortüberweisung (using your bank account), EPS online bank transfer and a regular bank transfer there is the possibility to pay with credit card (Mastercard or Visa), Neteller, Skrill and GioPay. The different payment methods are subject to different fees - while a bank transfer does not incur costs, but can take longer (2-3 business days), a the usage of Sofortüberweisung costs 1.99% and a deposit by credit card 1.50% of the total payment sum. After selecting the payment method, you can specify the desired deposit amount. By clicking on GO TO SUMMARY, the transaction will be shown in detail and will be done with CONFIRM and activation of the two buttons. The credit is now on the EUR WALLET. Now click on the orange BITCOIN chart in the DASHBOARD. This will display the current Bitcoin rate, your Bitcoin wallet (where your bitcoins will be stored) and the current value of your coins in EUR. Furthermore, you can create a price alert here - if the set value is exceeded or fallen below, you will get a message. To start buying Bitcoin, click on BTC BUY on the bottom right. Now you have to choose the wallet you want to buy assets for. Since you want to buy Bitcoins, select the BTC Wallet. TIP: What is a Wallet? Then you have to select the FIAT WALLET with which you want to pay the bitcoins. Since we have only deposited a credit on the EUR wallet, only this is displayed. Choose it. Now you can choose to spend all or part of your credit on buying Bitcoin. Below is displayed how many Bitcoins you get for your purchase amount. Determine the amount you wish to deposit and click on GO TO SUMMARY. The summary displayed now shows you all the details of the planned purchase. Activate the switch and click BUY NOW. The purchase is now completed and you will receive a confirmation. Click OPEN WALLET to see your BITCOIN WALLET with your current status of BITCOINS. CONGRATULATIONS - YOU ARE NOW OWNERS OF YOUR FIRST BITCOINS! You have now bought your first BITCOINS and these are now on your ONLINE WALLET at BITPANDA. But your BITCOINS are not the safest online, but on a HARDWARE WALLET. The best-selling hardware wallet at the moment is the Ledger Nano S.
How to save your bitcoins and other cryptocurrencies safely on a hardware wallet is shown here.